Twenty years ago, Ron Walters, my colleague and co-founder of Coffee Review, arranged a meeting with me at a bar in a San Francisco hotel to discuss an idea he had for starting a publication that reviewed coffees with the same seriousness that other magazines reviewed wines. That was 1996. Some may recall that in 1996 there were no 100-point scoring systems for coffee anywhere, at any level of the industry. No formal reviewing, no green coffee competitions, no roasted coffee competitions, no venues whatsoever for rewarding excellence in coffee. There were only company brochures, print advertising, and word-of-mouth. Certainly, very skillful cupping and coffee evaluation took place within the coffee industry at the level of coffee country associations, importer/exporters, and green buyers. But their skills remained sequestered in industry cupping rooms. Starbucks-style dark roasting was in the ascendant even with small, start-up roasters; caramel lattes ruled in the cafés; and the world of microlots and medium-to-light roasting was at most a faint, utopian idea in a few purists’ heads and hearts. Before our meeting in 1996, Ron, a wine enthusiast, had just visited some high-end coffee farms while on vacation, and returned with an interest in fine coffee. But once back, he was surprised to find that no one was reviewing coffees with the same seriousness as so many others were reviewing wines. No Coffee Spectator? No Coffee Advocate? Why not start a publication, offered primarily online, that would offer consumers credible, objective reviews of retail-roasted coffee? For my part, by 1996 I had been writing about coffee (and cupping it) for about 20 years, first part-time, then full-time as writer and consultant. I had published three books about coffee by then, some in multiple editions, and had just started reviewing coffees for a very well-edited, good-looking consumer magazine (regrettably now defunct) called Coffee Journal. Ron had run across my reviews in Coffee Journal. Rather than using a 100-point rating system, I gave coffees one to five cups, the equivalent of stars. 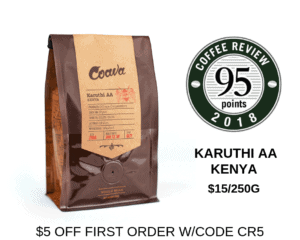 I admit that I was leery of creating a 100-point system for coffee when Ron first suggested it, because numbers imply a kind of universal objectivity, when what they actually represent in beverage ratings is trained and nuanced judgment based on cultural consensus. Over the course of several months, we arrived at a scoring system that used the then-traditional coffee cupping categories of aroma, acidity, mouthfeel, flavor and aftertaste to generate 100-point ratings. A year or two later the Specialty Coffee Association of America adopted our form and our system. Still later, the association, building on work done by George Howell, developed its own, much more complex system for awarding 100 points. But we have stuck with the traditional five-category system because it is more accessible to consumers and opens up space for nuanced description that tends to get discouraged by more complicated ten-category systems. We consider the language in our reviews more important than the ratings themselves in helping consumers choose coffees that suit their individual tastes and expectations. In the early going we faced other conceptual and logistical challenges raised by coffee’s uniqueness as a specialty beverage. Unlike wine, for example, coffee needs to be brewed before being tested, and it is a very vulnerable product once roasted, making freshness an essential consideration. Coffee is recreated day by day and even minute by minute, the product of an almost continuous collaboration, ranging from farmer through miller through exporter and importer to roaster to, finally, the consumer or café owner who needs to brew it well and serve it promptly. We found that this complexity needed to be understood and acknowledged when reviewing and interpreting coffee to consumers, as did issues prompted by the profound and disturbing asymmetry in affluence and power between societies that mainly produce coffees and those that mainly consume it. I will not go into detail about the conversations, the trials and researches, and the networking that contributed to our settling on what appear to be workable answers to these challenges. In the early going we formed a Cupping Board of coffee leaders to help set direction, refine our thinking, calibrate our responses, and build credibility. The board included specialty coffee pioneers Don Schoenholt of Gillies Coffee; Jim Reynolds of Peet’s Coffee & Tea; Paul Katzeff of Thanksgiving Coffee; Lindsey Bolger, at the time of Batdorf & Bronson, now of Green Mountain Coffee Roasters; Martin Diedrich, founder of Diedrich Coffee, now co-owner and leader at Kéan Coffee; Mané Alves, founder and owner of Coffee Lab International and associated companies, and others. During the early years of our history we organized 100-point panel cuppings of green coffees, and many of these coffee leaders, along with others, participated in those panel cuppings. I feel it is justifiable to point out that we also broke new ground with our green coffee panel cuppings. We organized and reported on our first 100-point competition for green coffees in 1997, about two years before the first Cup of Excellence competition was held in Brazil in 1999. You can find that first panel-cupping report at Guatemala Coffees. 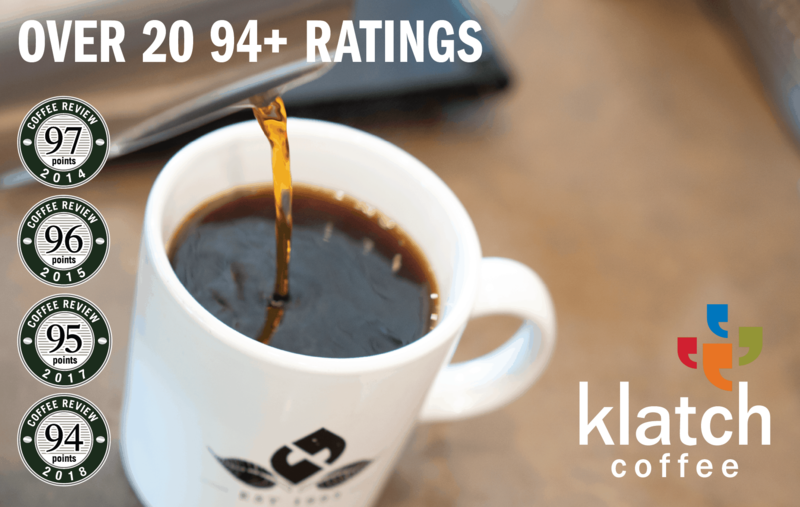 Readers who take a 20-year leap back to this piece may find the reviews graceful enough and informative, but may be surprised at the low scores assigned to what apparently were mostly sound, solid Guatemala coffees. A tendency to low ratings was typical of early green coffee juries, whether ours or the more comprehensive international juries assembled later by the Cup of Excellence program. Green coffee competition scores have risen over the years, partly because the coffee samples have improved and partly, I suspect, because jury members are better calibrated and more willing to go out on a ratings limb for coffees they admire. At Coffee Review we could soon see, however, that our most valuable contribution to the industry would be to focus on educating consumers by publishing unbiased reviews of retail-roasted coffees consumers could buy, supported by interpretive articles about those coffees that put the reviews in context. Our first such article was my report on House Blends first published in February 1997. I admit to some embarrassment when I reread this article. The ratings and reviews seem consistent and reasonable, and the opening of the report is well-taken enough, but from there I do carry on, first giving a rationale for why I felt it was justified to review coffees for consumers, then proceeding to deliver still more explaining about how I went about doing it. A lot more explaining. In fact, endless explaining. If that sounds insecure, it’s probably because I felt that way back then: I was doing something relatively new in coffee, and doing it alone. Now I have the privilege of working in dialogue with an entire industry of increasingly skilled coffee cuppers/conversationalists, including two, Kim Westerman and Jason Sarley, who every day supply me with invaluable language and challenges. In the 20 years since that first solo article we have reviewed more than 4500 coffees, and tested tens of thousands more without reviewing them. I have written over 250 substantial tasting reports interpreting those reviews. We have grown to serve an audience that in 2016 numbered over 1.3 million unique visitors from 236 countries and territories. We estimate that, in 2016, that audience drank more than 1.3 billion cups of coffee and consumed more than 30 million pounds of coffee beans. And in those two decades since our founding, enormous changes have taken place in specialty coffee. More and more competitions reward excellence; more and more start-up roasters bring fine coffee to towns and neighborhoods in the U.S. and abroad; innovative start-ups have grown in size largely without losing their passion for distinction; the brewing world is seething with innovation, as is top-end coffee production, where the coffee world has finally acknowledged and embraced the importance of tree variety and the nuances of processing method in creating cup character. Over the past 20 years, Coffee Review has both documented and contributed to these changes. We have described and celebrated them—the new tree varieties, the new processing variations, better shipping methods, more refined and nuanced roasting—interpreting the achievements of coffee’s new world for an growing audience of aficionado coffee-lovers. Nevertheless, just as the upscale end of the coffee world has erupted with excitement and change, at the production end of the supply chain the terrifying threat of climate change looms over this new world of coffee innovation, abetted by the persistence of a relentless commodity coffee system that continues to discourage innovation by imposing historically low prices on mainstream coffee producers. We hope to document and contribute to what we trust will be the coffee world’s successful efforts to meet and transcend these challenges in the years to come.